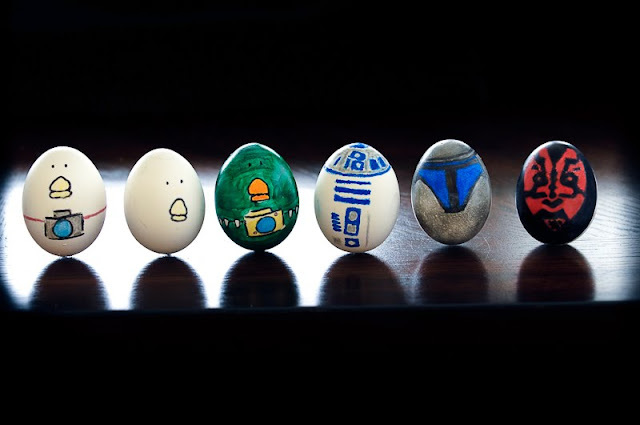 These are some of our Easter eggs this year. These are Conner's eggs and are characters from two of his favorite things, What the Duck and Star Wars. Collin decided he wanted the traditional decorations so we just did the normal dye job on them. And yes it was very hard getting 6 eggs to stand up all at the same time. Jango Fett and Darth Maul Did not want to cooperate at all. They will be eaten first!! !